The last time I updated you was two days before my exams. I ended up with biology – talking about all types of animals and their inner organs, their lifestyle and so on. I ended up with a norwegian grade 6 – an american A+. I was so happy! Since then I’ve started my summer holiday, without doing much than enjoying the sun and driving as much as possible. I’m on my way to take my drivers licence. 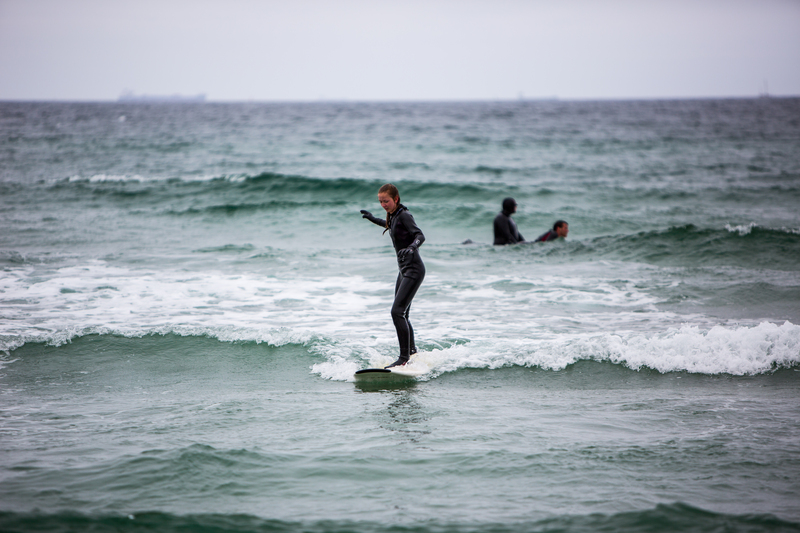 And – as you can see from the photos – I went surfing for the first time! 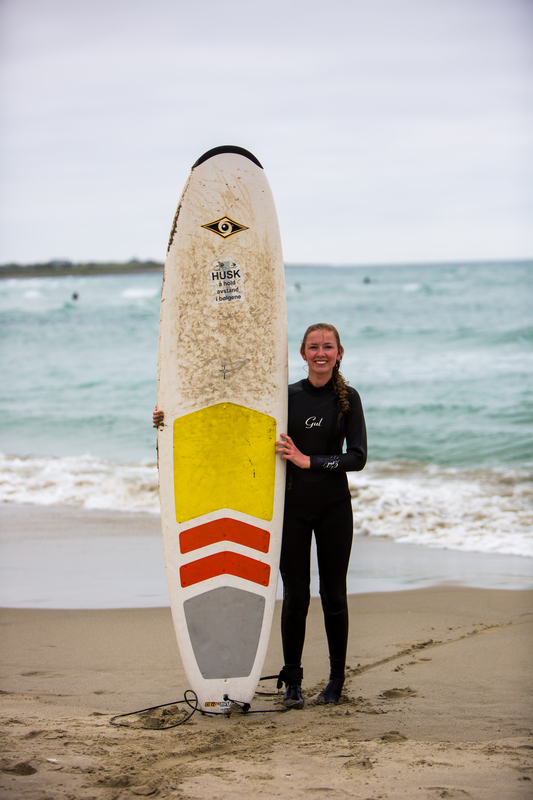 Where I live in Norway, we are blessed with kilometers with sandy beaches, perfect for surfing. As they face in all different directions, you are sure to find one beach with waves big enough for your desire. The waves wasn’t that big the day I went, so it was perfect for a newbie like me. I was actually surprised how easy it was to stand up on the board, even though I have to admit the techniques aren’t there yet. But seeing how much I improved during a few hours, really made me want to do it again. I’ll update you on it! The last wave taking me all the way to land. 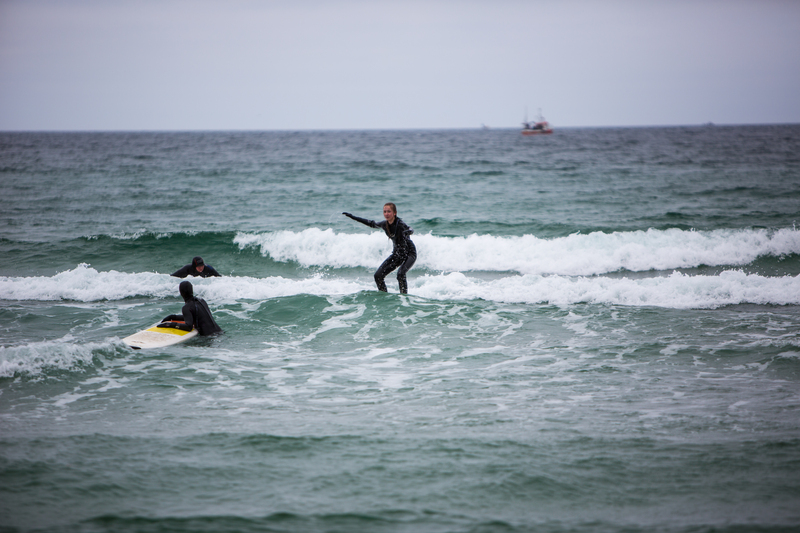 I will definitely do this again, and I’m seriously considering a surfing holiday some day. Have you ever tried surfing?